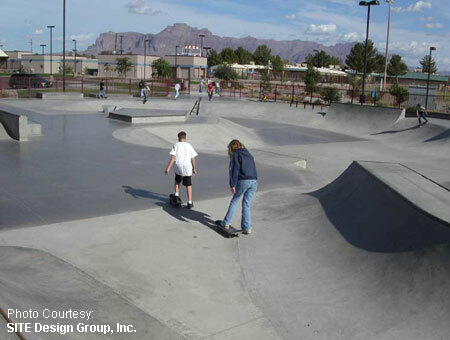 Superstition Shadows Park (22,000 sq. 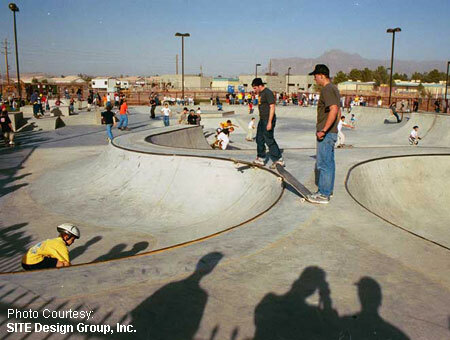 ft.) held its grand opening March 1, 2002 and is a $1,400,000 outdoor concrete skatepark facility. 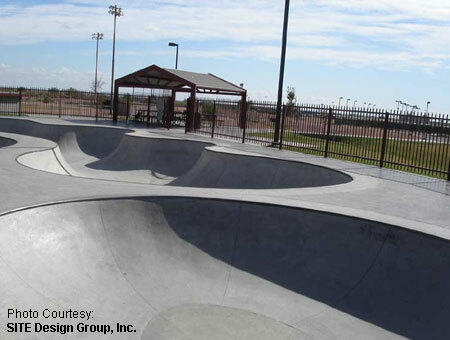 One of eight major capital facilities projects completed as part of the Capital Facilities Plan of Apache Junction and one of the many free skateparks in the Phoenix Metro area. 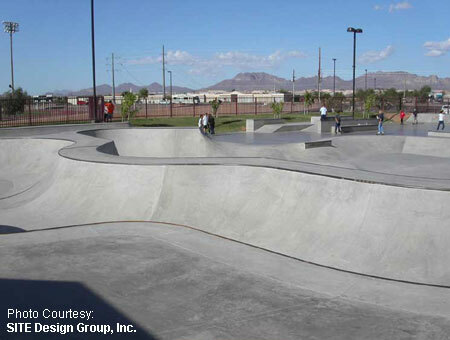 Other skateparks in the area take up the slack for the lack of vert and deep bowls, but Superstition Shadows Skatepark holds its own and surely gives the locals hours of free skateboarding fun. 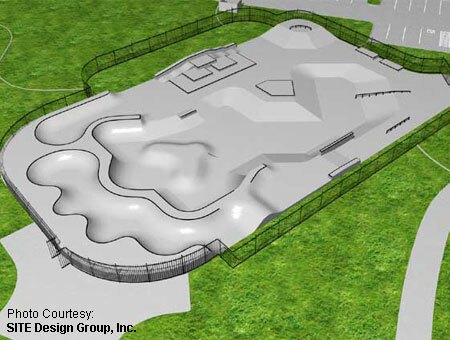 The street half of the skatepark is comprised of angled banks with ledges, sliders and rails on the main deck. One of the longer rails drops into the street area from the deck. Hit up the corner area and try out some rails tricks on the curved rail atop the big hip. The ledge section is made up of tiered ledges edged with angle iron with a big ledge at the top. 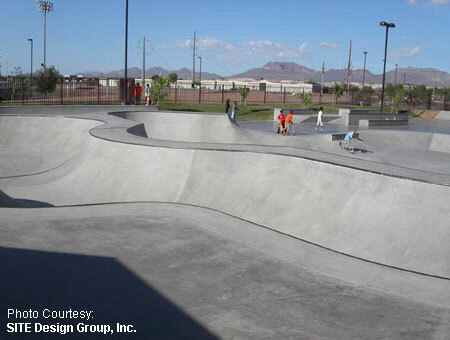 If transitions are what your after, Superstition Shadows Skatepark has that too. Just not on a large scale. 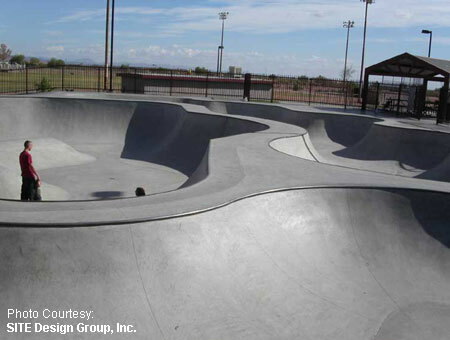 The bowled snakeruns aren't nearly as big as the trannies at Gilbert, Chandler or Paradise Valley, but they're still fun to skate and make up for it with good lines and smooth concrete topped with metal coping. 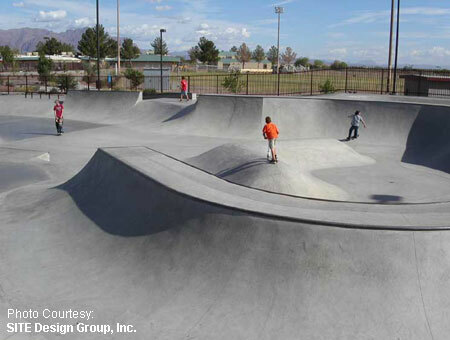 This is really a great skatepark for kids to learn on. 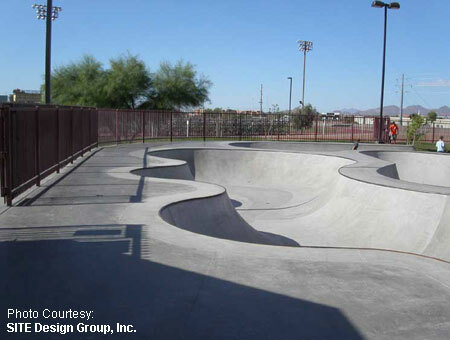 Don't forget that admission to this park is free, no pads are required and its unsupervised. Most grindable edges are either metal coping or angle iron to keep them from getting chunky. 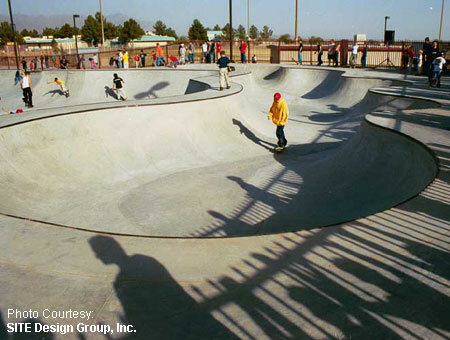 Superstition Shadows Skatepark has onsite restrooms and is fully lit until 10pm. Pads are not required but highly recommended.